Tekst Unique. 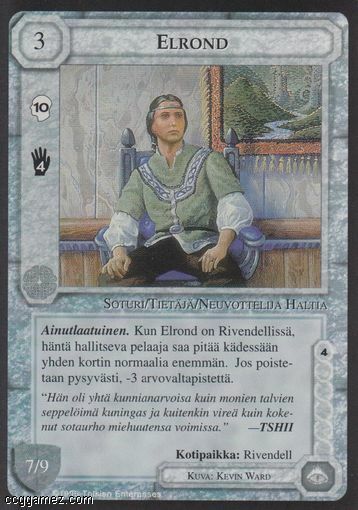 When Elrond is at Rivendell, his controlling player may keep one more card than normal in his hand. -3 marshalling points if eliminated.